It's here! 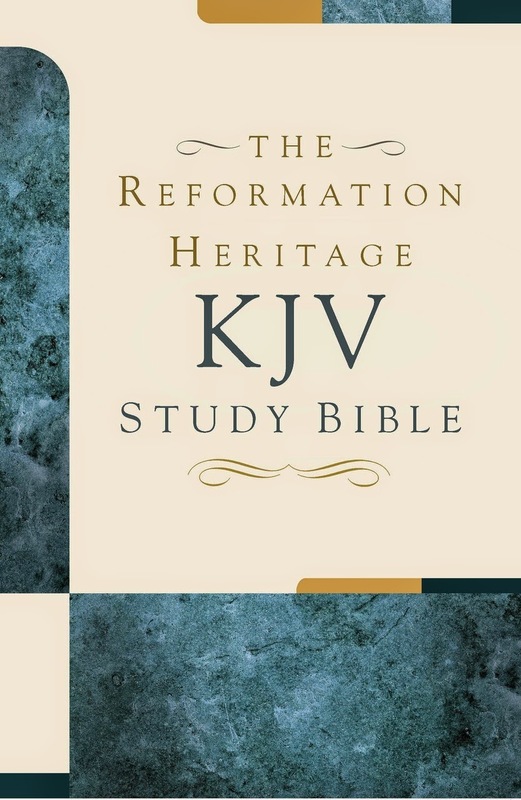 Reformation Heritage's KJV Study Bible is being released this month. 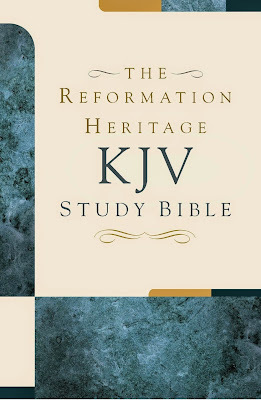 You can read about this resources on the KJV Study Bible website. I did an interview with Michael Barrett, the Old Testament Editor for the KJV Study Bible, for Interview # 69 on the Confessingbaptist.com podcast. I have also uploaded this podcast to sermonaudio.com (listen here). I received mine in the mail last week. It is a delight to have. Every chapter in the bible contains at least two thought provoking application-type questions in the study notes. My wife reads each meal with the kids while I'm off at work - a Psalm at breakfast and Proverbs at lunch. This is the perfect Bible for this type of activity. I feel very comfortable with the notes and such. However, I haven't gone so far as to investigate how much paedobaptism contraband there is to be found in the notes. Thanks for the post. Yes, this Bible looks to be ideal for family devotions, etc. I ordered a copy for each of my children as a Christmas gift (hopefully, they won't read this post before they get their copy!). I also really like the devotional articles and the century by century survey of church history by Sinclair Ferguson. I am going to do a book review of the study Bible and another book this Sunday for our SS class at CRBC, as well as urging folk to build family libraries. I do hope they will come out with an RB edition!